When radishes are plentiful in the garden or at the market, use them in this unusual fresh relish to serve with grilled chicken breast, pork chops or salmon fillets. 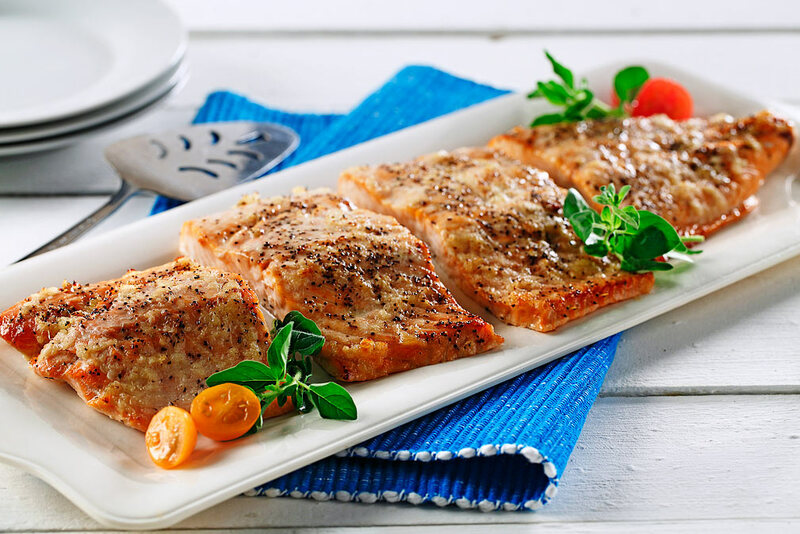 Canola oil’s light taste works well with the complex flavors in the relish while its high smoke point makes it perfect for cooking the salmon. 1. Preheat oven to 400 °F (200 °C). 2. In a small bowl, combine radishes, sugar, lemon juice, canola oil, orange zest, pepper flakes and mint. 3. 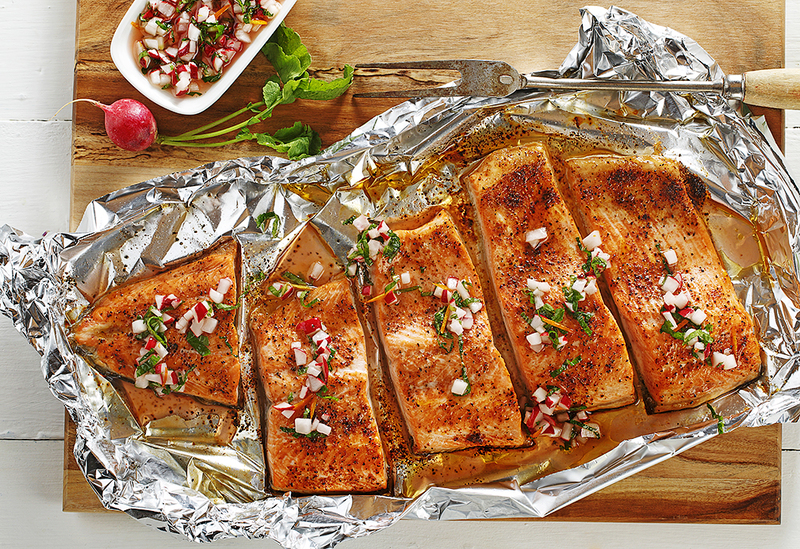 Place the salmon fillets, skin side down, on a foil-lined baking sheet. Brush the fillets with 1 Tbsp (15 mL) canola oil, sprinkle with chili powder, salt and pepper. Bake 10-12 minutes or until fish flakes when tested with a fork. 4. Serve relish alongside fillets. Tuna is a very lean fish and will dry out if overcooked. 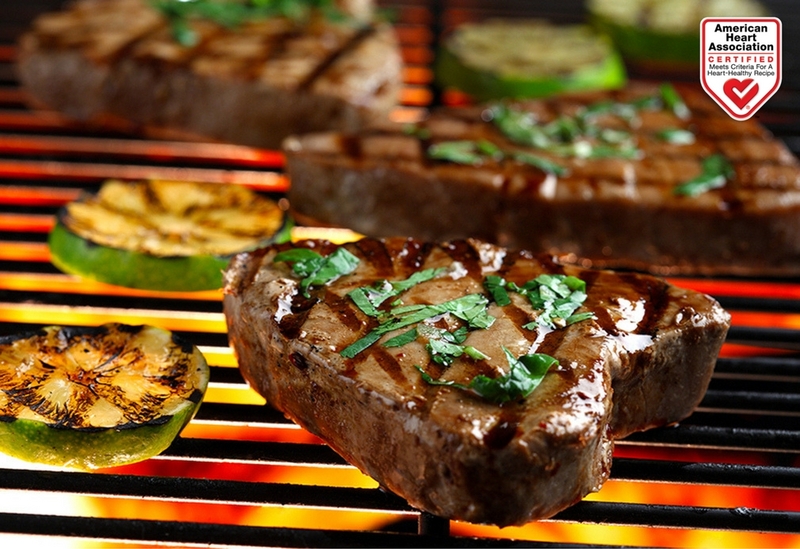 Cook to an internal temperature of 145 °F (65 °C). 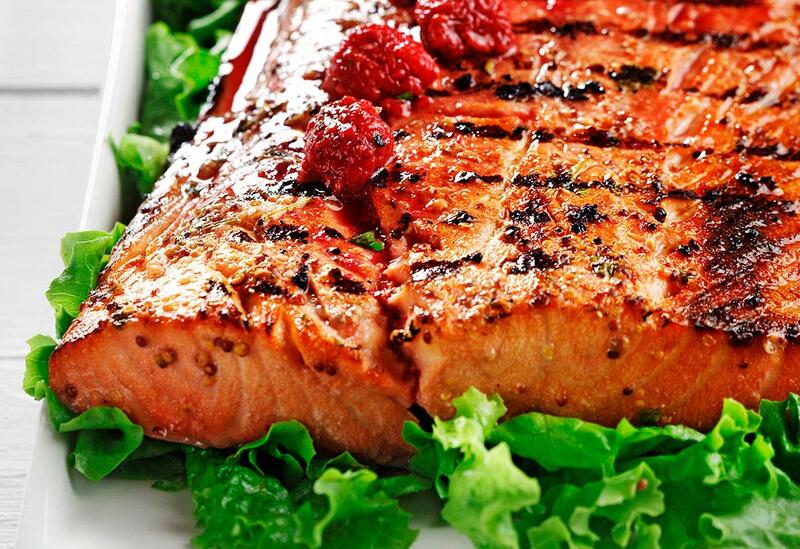 Raspberries and Dijon mustard make a unique combination of sweet and savory, which is perfect for grilled salmon. Salmon, honey and canola oil make this dish a delicacy that takes care of our heart and tastes great too.